62, passed away on January 14, 2019. 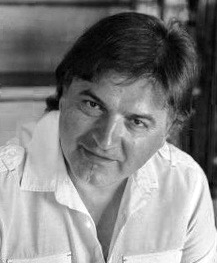 Born in Ilijas, Bosnia, on February 1, 1956 beloved son to the late Vojin and Savka Djukic. Loving husband to Djurdjica Djukic. Caring father to Danijela Djukic-Ostrowski (husband Michael) and Dusko Djukic (wife Catrinel). Proud Grandfather to Dylan and Maxim. Brother to Blazenka Lalic (husband Stojko) and Mladjenka Subotic (husband Zoran). Also survived by his nieces Sandra and Nikolina and his nephews Vladimir and Stefan and many other loving Family members. Friends will be received on Wednesday, January 16, 2019 from 6-8 pm at the Cieslak & Tatko Funeral Home and Cremation Services; 2935 Brownsville Rd. Pittsburgh, PA 15227. A Pomen prayer service will be held at 6:45 pm at the Funeral Home. Friends may gather at 12 pm. January 17, 2019 at Holy Trinity Serbian Orthodox Church, with a Funeral Service held at 1pm.